The huge destructive power of the US carrier sends a message to China. Photo courtesy of Getty. For the first time since the Vietnam War a US aircraft carrier is visiting Vietnam, a physical manifestation of new strategic realities buffeting the region. The arrival of the USS Carl Vinson in Danang is heavy with symbolism, and it highlights the alarm felt in the Vietnamese leadership about China’s growing military power in the region. Carrier battle fleets are the visible symbols of Washington’s military might and of its commitment to stay in the western Pacific. Rolling out the welcome mat for such a weapon of war was not an easy decision for Vietnam, having been on the receiving end of US destructive capabilities in the 1960s and early 70s. However, the speed and vigour with which China has consolidated its military position in the South China Sea has pushed the Vietnamese into a quicker and more ardent embrace of the Americans than many anticipated. 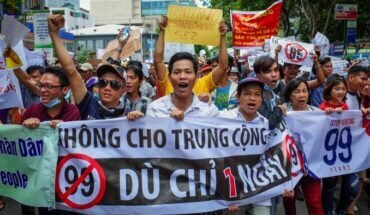 Talks to pave the way for the visit began last summer after Vietnam suffered a humiliating reversal off its south-eastern coast, forced by Chinese threats to cancel a lucrative gas drilling project. The fear in Hanoi is that the latest US naval visit is too little, too late. 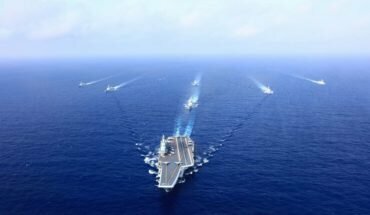 China is in the process of transforming military realities in the disputed waters of the South China Sea, by building up naval and air bases on reclaimed reefs that are designed to deny access to rival claimants, and perhaps eventually, the US navy itself. The Trump administration’s overwhelming focus on North Korea, and China’s potential role in reigning in Pyongyang, has also given Beijing leeway to consolidate its position in the south. The Carl Vinson and its support ships have been flying the flag in the South China Sea in recent weeks, also docking in Manila Bay in an attempt to stiffen resistance in the Philippines to China’s ambitions. It’s also significant that the battle group was dispatched from the US 3rd fleet, based in San Diego, to support the hard pressed 7th, which normally has sole duties for the western Pacific from its bases in Japan. However, political leaders in Hanoi and other Southeast Asian capitals have been disconcerted by a lack of hard strategic thinking and focus on the region in Washington. 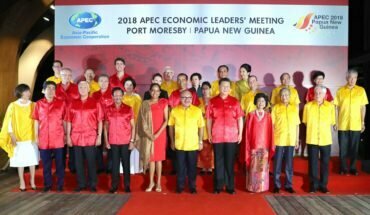 Donald Trump and his advisers have been talking about an Indo-Pacific strategy, seen as an encouraging plan to bring India into the balance in the South China Sea, adding weight to the existing US-Japan-Australia axis. But the worry remains that the Trump administration lacks the commitment, consistency and vision to counter China’s single-minded determination to impose its will on the region. Vietnam has sought to avoid outright confrontation with China, even strengthening ties between the two Communist parties where it can, while at the same time seeking strategic support where it can find it, from Tokyo and Washington to Delhi and Europe. The visit of a US aircraft carrier marks a milestone in its developing ties with Washington, but Vietnam will need more than symbols if it is to continue resisting the ever growing pressure from the north.